Choose the colours with care: The walls of a child’s room can be a great way to unleash a lot of creativity, both from you as well as the kids. Use one wall as a mural, that you can do yourself if you feel up to it. 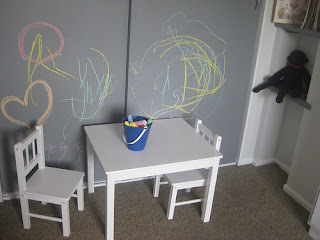 You can also create a blackboard area on another portion so that no kid needs to feel bad about scribbling on walls. The furniture counts: You may find lovely pieces in a flea-market or while bargain hunting, which you can then try DIY techniques on to make it look even more exclusive and in character. This is also a great opportunity to create your own piece of furniture that can also be used to create splashes of colour in the room. Are things accessible? Use a lot of open shelves, and mostly at lower levels, unless you need to keep something out of reach for a specific reason. It helps kids become independent, as they get used to finding and putting back their own stuff much faster if everything is at their accessible level.